How hot is the mobile video chat market? So hot that one of the leading technology companies in the space, Palo Alto, Calif.-based Tango, has raised $42 million aimed at rapidly growing its workforce to compete with startups like ooVoo and industry heavyweights like Skype. (s MSFT) The round also gives it a little extra cash to extend its video chat app beyond just mobile devices, to reach some 1.5 billion potential desktop users. The Series B funding round was led by Draper Fisher Jurvetson and includes existing investors. It includes $8.7 million raised in a convertible note that was revealed through an SEC filing earlier this year. With the latest round, Tango has raised a total of $47 million since being founded just 18 months ago. The funding news was first reported by Bloomberg last month, but was just confirmed by the company today. No doubt some of the investment comes as a direct result of Skype being acquired in a deal worth $8.5 billion, which is a huge amount for a company in what is still a very nascent video chat market. But while Skype began on the desktop and has been slowly (but gradually) adding support for the iPhone and Android mobile devices, Tango is taking the opposite route. Tango launched with a mobile focus but is gearing up to start working on PCs, with the upcoming launch later this summer of a desktop app that will let users sign in and be contacted on their phone or on their computer. By doing so, Tango also hopes to attract more users to its service. It currently has about 18 million users on mobile devices, which is a far cry from the 600 million that Skype has attracted to date. But it sees desktop availability as a huge potential boost. Eric Setton, CTO and co-founder of Tango, said in a phone interview that there are about 1.5 billion PC users worldwide, which is a huge addressable market. Not just that, but PC availability has been the #1 requested feature from its users. The new app will mirror its existing mobile apps both in form and function, allowing users to be simultaneously logged into their accounts through multiple devices, and ensuring that their contact lists are synced across each. 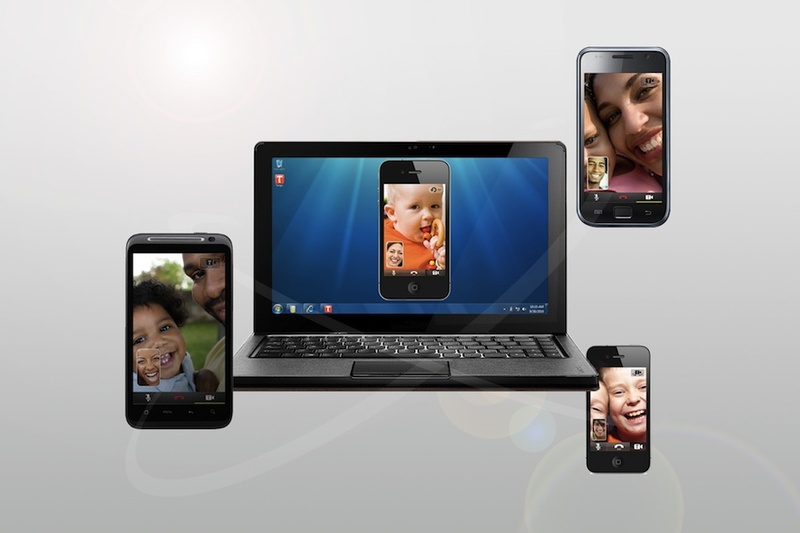 When an outside user tries to initiate a video chat, both the PC and phone will ring, enabling users to choose whichever device they want to talk on. In addition to PC app development, the funding will be used by the company to ramp up hiring in general. According to Setton, Tango has added about 25 people in the last three months alone, bringing total headcount to 60 employees company-wide. He said it wouldn’t be surprising to see the company with more than 100 employees by year-end. Many of those employees will work on increasing support for more platforms and mobile devices, as Tango struggles to deal with an incredibly fragmented device market. Some will also work on getting its software supported on the chip level, which will ease integration with devices once they finally come to market. Mobile video chat applications are definitely becoming more competitive. I deal with a lot of foreign clients and I found a handy chat app called Transfire (http://www.transfireapp.com) that instantly translates my text messages to my client’s language and I receive their responses in English. It’s easy, fast, and I think it is going to become a global business necessity. Hi Ryan — an interesting app/company. What do you think of the view that this type of app will tend to struggle to really break out of niche demographics? To make the argument: A typical user may only have one or two contacts on this system, and utility/interest kind of dries up after the first few uses. The reach of the service will always be limited by discoverability and accessibility, since how would you know to install it, get your contacts on it, etc? Skypeâ€™s the only one thatâ€™s really broken out so far, and even that is for quite specific use-cases for most people. Gabe, Totally agree with you. The one thing I will note is that, on mobile devices people seem much more willing to install something on a whim than on a desktop environment for whatever reason. So it’s at least easier to get people to try out a free app. But Skype is a heavy hitter, no doubt. And will only remain moreso now that it’s becoming more ubiquitous with Facebook integration, soon Xbox and Comcast set-top boxes, etc.